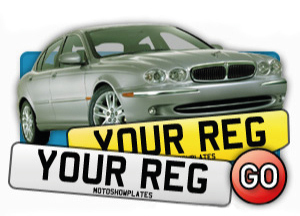 There may be already few reasons why would you search online to have custom number plates made. 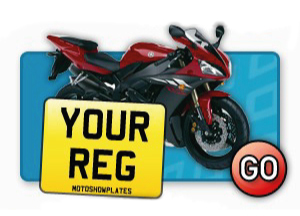 For whatever reason you are now on our website, we would like to welcome you here and show you that as a Motoshow Plates customer you can have your order made up in no time. Our online number plate maker page will first offer you a selection of different types, so you can choose standard or motorcycle shaped, import or model specific or perhaps black and silver for a classic car. Our digital builder can help you to create various kind of road legal number plates online using an original piece of software which shows straight away what the finished product will look like. Our unique software allows you to create your own custom number plates online for your vehicle, whether it’s a car or motorcycle including UK and imported models, larger cars and 4x4s. 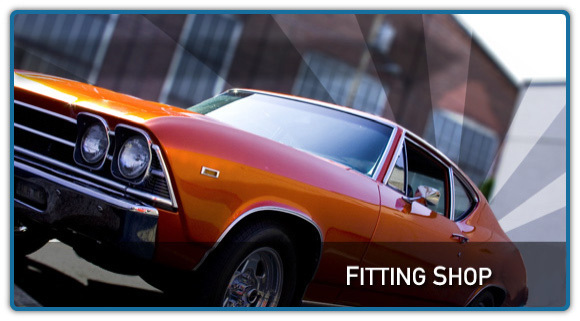 With all the various options, details and sizes to choose from, we have no doubt you will find the right registration plate which will meet your requirements. 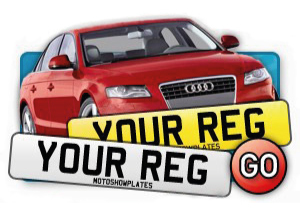 Also we offer a choice of legal fonts, borders and badges for our customers to create a design that’s personalised while remaining fully compliant with the relevant DVLA regulations. We understand that our customers are looking for a quick and convenient method to create their designs, and the truth is that most customers are now preferring to use mobile phone devices or tablets rather than their computers, since they can use them wherever they are. This is one of the reasons why we at Motoshow Plates aim to provide a mobile friendly website for our clients in order to offer the best possible service. If you’re looking to print number plates with your own unique requirements while you’re on the go, please go ahead and get started using our number plate maker tool. 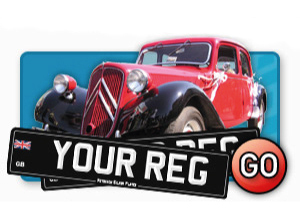 Important: Please be aware that if you want to order a road legal registration for your vehicle, you must have already own the registration number and have the supporting documentation to order a replacement. We are unable to process orders for products printed with any registration you do not own, as this is against DVLA legislation. Please note that we may require the original copies of your relevant vehicle documentation to be submitted prior to producing your order. 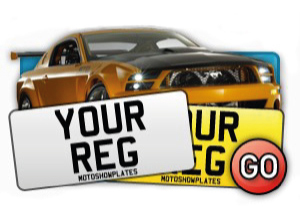 The Motoshow Plate Builder is the best choice for you to order custom made number plates online, so you may rely on us with confidence that we will provide you with all the important information you need to produce a perfect and fully compliant design for your vehicle. We wish to make your browsing and ordering experience as comfortable as we can. For your peace of mind and convenience, you can choose from various types of secure payment methods to complete your transation. Shopping with us is safe and securely protected.